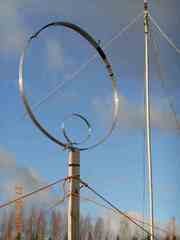 Generally it is recommended to setup separate mail account to use over HF-radio. It is prohibited to use encryption on amateur radio communication, so for security reasons do not use your primary email. But you can do necessary redirecting if you want to receive your primary emails over radio. But be reasonable: Even receiving only mail headers can be security risk: you simply do not know what is in your mailbox when you ask PSKMail server to send headers. It might be reasonable to choose Gmail as PSKMail account. Reason is, it is many times used and additional services like IFTTT support it well. There is no reason why other services could not be used: it only have to allow POP-protocoll. So activate POP on your mail account's settings. Refer to your client's manual for email settings and how to upload them to server. Note: First time you are trying to use your Gmail over PSKMail, it will most likely not work, this is normal. Reason is Gmail's security. Log in to your mailbox in usual way (internet) and you most likely find security warning on your inbox, saying unknown device have tried to use your account. You can even get SMS-warning from Google, saying that someone knows your password. You have to allow this "unknown device" to use your mail, follow instructions you find from email-warning you have received. Remember also: you can not use your Gmail via PSKMail if you are logged in this Gmail account on other device. So log out. You can not keep this Gmail-account open on your PC while testing PSKMail email. 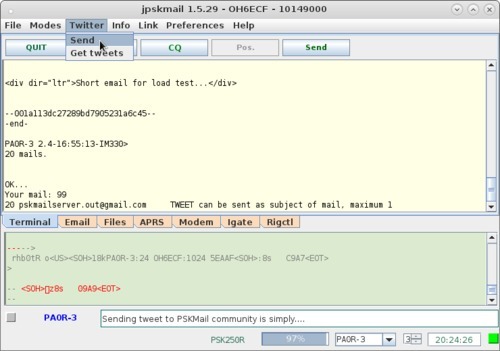 You can send tweets over HF connection to PSKMail community twitter. You do not need specific settings or Twitter-account for that. 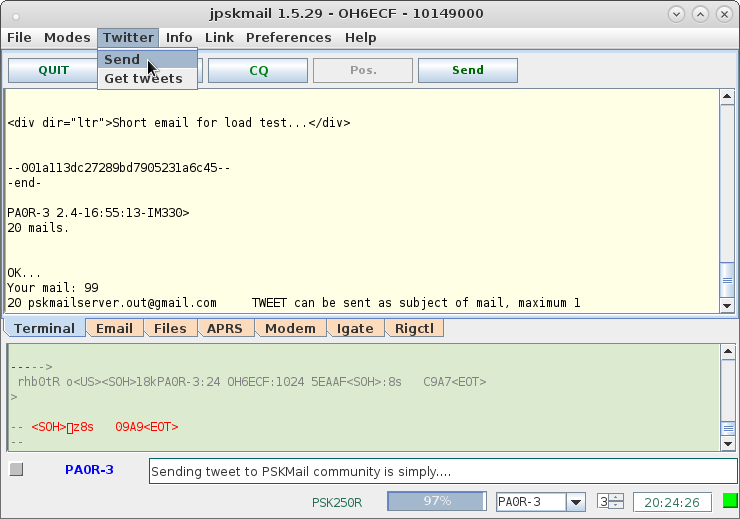 2.On "Terminal" -tab, type your tweet to box on bottom of PSKMail GUI. 3. Select "Send" on "Twitter" -menu from upper side of GUI. This section show how you can send tweet to your own Twitter-account, to your own followers. 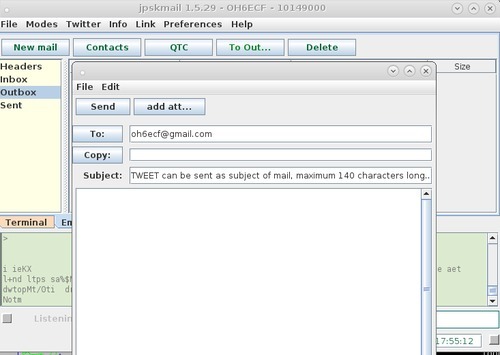 You need to set up your PSKMail-clients email to work for this purpose, and to register account on Tweetymail. Free basic use is enough. Generally it is easy to sent tweet to Twitter with Tweetymail-service. You just have to register tweetymail-account and it will transform mails sent to moc.liamyteewt|teewt#moc.liamyteewt|teewt to tweets to your own Twitter-account. But when using PSKMail outgoing email may come from some other address than your own (like from moc.liamg|tuo.revresliamksp#moc.liamg|tuo.revresliamksp). If you try to use Tweetymail as usual sending your tweet with email, Tweetymail will identify your mail coming from pskmailserver.out, and redirects your tweet to…PSKMail community Twitter page! Solution is straigthworward. 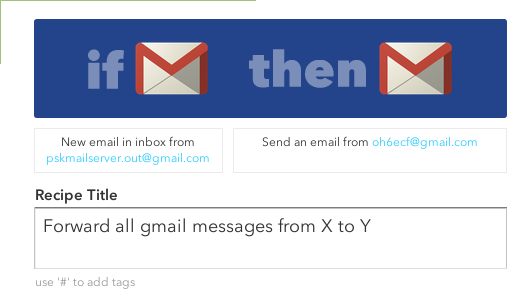 You can use IFTTT-service for this, at least if you setup your email as Gmail -account as suggested. Go to IFTTT Gmail-channel and browse recipes, you will find "Forward all gmail messages from X to Y". Shortly you turn messages which come from moc.liamg|tuo.revresliamksp#moc.liamg|tuo.revresliamksp to your PSKMail-Gmail account to redirected to Tweetymail. This is how you chanǵe sender address of your tweet to be your own. And here are other essential settings. It may be best to leave other filelds empty, just to redirect subject of message to be sent to tweetymail. So you put your tweet as subject for message. It is handy. 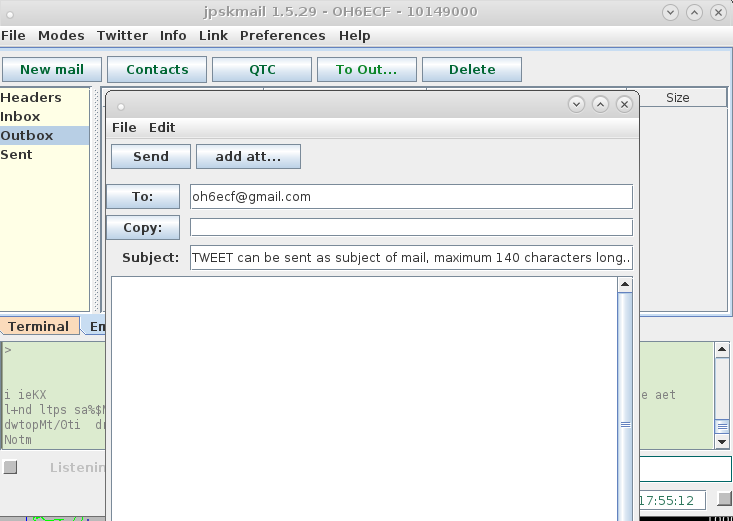 When you want to tweet ovet HF, you simply send tweet as message subject to your own PSKMail-email adress. Yes, you sent it to your own email-adress with PSKMail. 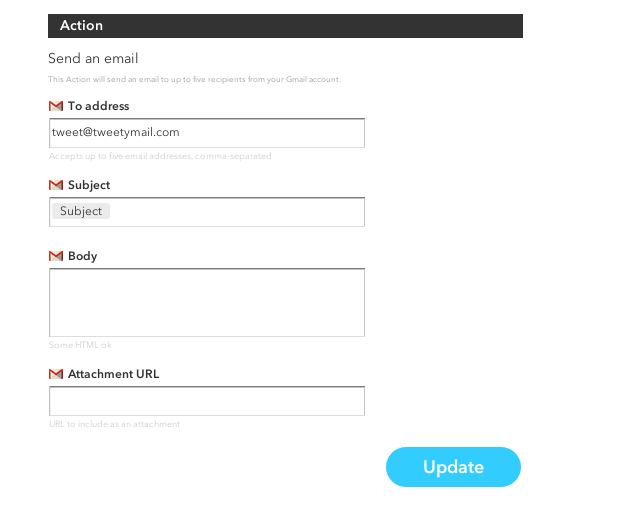 It will be then redirected to Tweetymail with interaction from IFTTT. Now you have a global HF-tweeter. Nice! 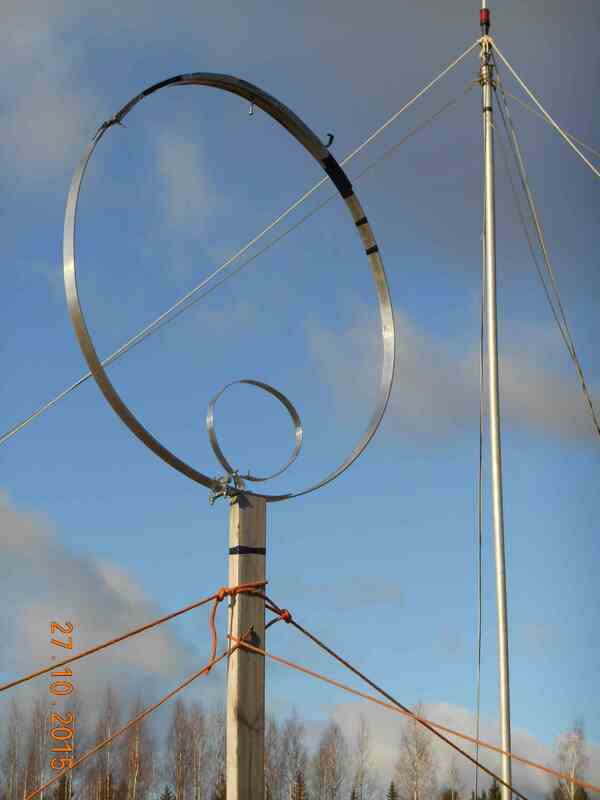 Magnetic loop antenna for PSKMail backbone frequency 10.148 Mhz, "without" variable capacitor.